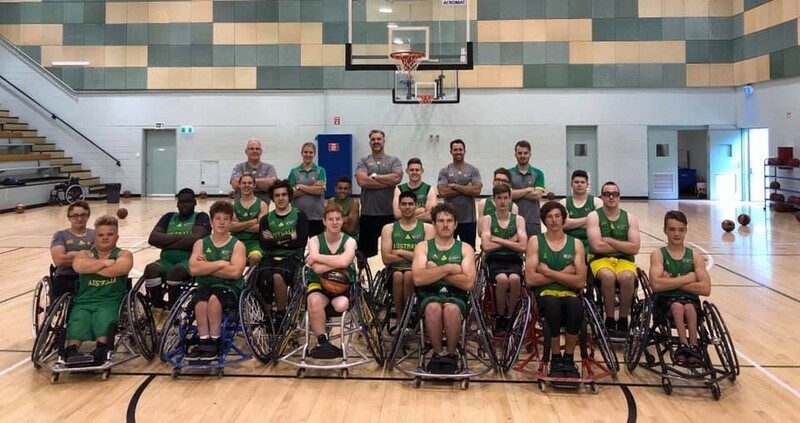 The Australian junior men’s wheelchair basketball team (the U23 Spinners) have recently returned from Queensland after a week-long national training camp followed by a three-day tournament on the Sunshine Coast. 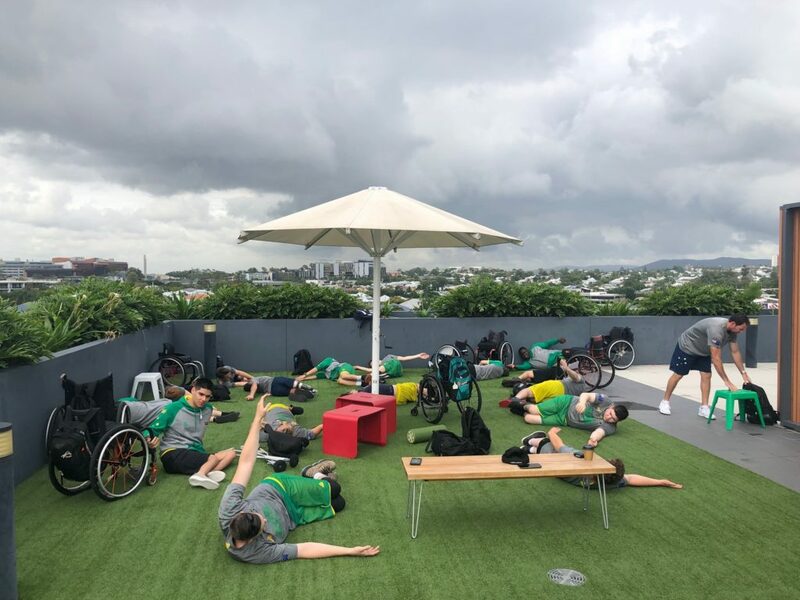 Led by former Paralympian and current Australian Rollers assistant coach Brad Ness, the 18-man strong squad came together for a four-day camp hosted by the QLD Academy of Sport and Sporting Wheelies & Disabled Association. 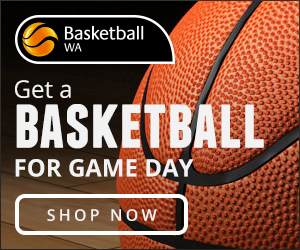 Selecting a mixture of current National League players and State Junior representatives, WA saw a total four players selected- Thomas McHugh, Ben Moncrieff, Angus Johnston and Frank Pinder (injured). The camp allowed the staff a chance to review the squad after their last camp a year earlier and bring in some newer faces as they aim towards the Junior World Championships in 2021. 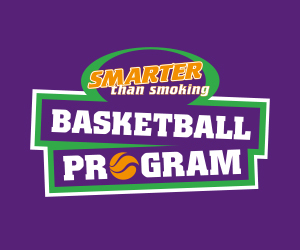 Coach Ness was able to put each player through their paces and instil the cultural expectations of a player playing for a senior Australian team. After the 4 days, the squad departed for the Sunshine Coast for the annual SunCoast Spinners Wheelchair Basketball Tournament, seen as one of the three premiere club tournaments for wheelchair basketball in Australia. The event hosts more than 15 domestic and international clubs as they kickstart their National League seasons. With the Australian squad being split into two teams for the tournament, the coaches had a chance to work a variation of line-ups and plays against senior national and international players. 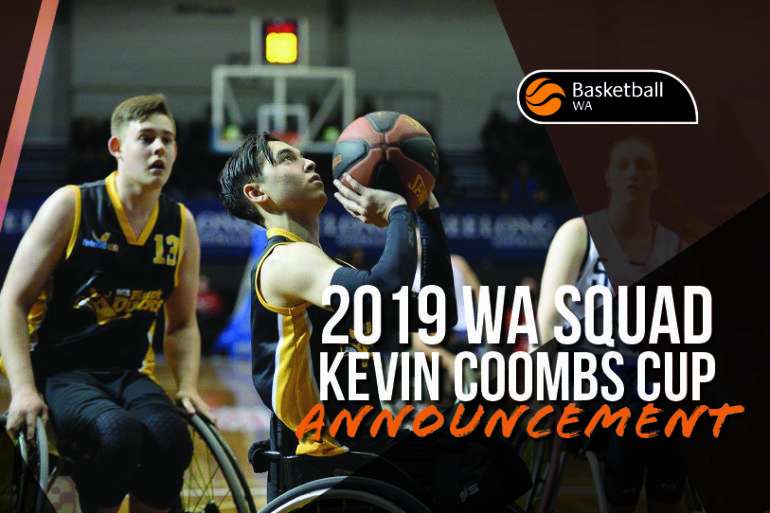 The squad now returns to their state programs before the players meet again at the Australian Junior Championships (the Kevin Coombs Cup) in Townsville this April. 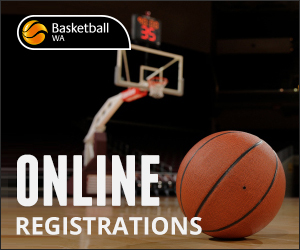 The Australian Spinners are one of the most consistent junior wheelchair basketball teams, having medalled at four of the six tournaments help since their inception in 1997.